Landmark movie in the film noir tradition, Roman Polanski's Chinatown stands as a true screen classic. Jack Nicholson is private eye Jake Gittes, living off the murky moral climate of sunbaked, pre-war Southern California. Hired by a beautiful socialite (Faye Dunaway) to investigate her husband's extra-marital affair, Gittes is swept into a maelstrom of double dealings and deadly deceits, uncovering a web of personal and political scandals that come crashing together for one, unforgettable night in ... Chinatown. Co-starring film legend John Huston and featuring an Academy Award®-winning script by Robert Towne, Chinatown captures a lost era in a masterfully woven movie that remains a timeless gem. Some regard the early to mid-Seventies as a renaissance for motion pictures, and when you look at a roster of movies from that era, it can be hard to disagree. Although I'm a notorious whiner about the choices made for the Academy Awards, I find it hard to strongly quibble with most of the Best Picture Oscars given in that time frame. Sure, I'd pick The Exorcist over The Sting in 1973, and I prefer Jaws to One Flew Over the Cuckoo's Nest, but all of the winners are exceptionally solid efforts. There aren't any bloated duds like Rain Man or Gandhi to clutter up the affair. Although the winners show some of the best movies of the period, it's the also-rans that demonstrate the depth of the era. Check any of the years 1970 through 1976 and you'll find a certified classic that didn't win, from M*A*S*H through Taxi Driver. 1974's most accomplished runner-up has to be Chinatown. It didn't deserve to beat The Godfather Part II for Best Picture, but it sure gave it a run for its money. 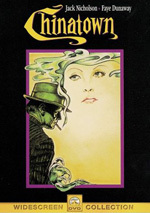 Chinatown is a fine film that used the traditional film noir techniques to excellent effect. The movie follows private detective Jake Gittes (Jack Nicholson) after a wife hires him to confirm that her husband is cheating on her. Jake snaps a few photos of the apparent cad while he dallies with a young lovely, and that, it would appear, is that. But that isn't that; that is something entirely different. And that's all I'm going to say about it. Chinatown possesses so many various plot developments and it all unfolds at such a perfect pace that I don't want to provide too much information. Movies like this work very well even when you know what's going to happen - the craftsmanship remains excellent and the entire piece is strong enough to withstand additional viewings – but I don't think I should even partially disturb the freshness of the piece for you. A pleasure like this should be experienced without much foreknowledge. Suffice it to say that although the plot easily could have become muddled and obtuse, it never does. The storyline is quite complicated, and a lot of little pieces fly at you, but they all proceed logically and make perfect sense. As with something such as The Usual Suspect, you definitely need to pay attention as you watch Chinatown, but if you do so, you should have no difficulty comprehending and keeping up with the plot and all its machinations. In addition to a well-crafted story that is told clearly and elegantly by director Roman Polanski, Chinatown benefits from some solid performances. Nicholson has rarely been better - and more subdued - than as Jake. He creates a believable and rich personality with a lot of depth and complexity; this isn't some cliched gumshoe we witness. Also very strong is John Huston as a wealthy industrialist; he adds a lot of gruff power to the role. When I initially saw Chinatown in my early twenties, I didn't understand the fuss; it seemed like a fairly ordinary little mystery. Perhaps age does help develop wisdom, as I now can observe what a fine piece of work the movie truly is. 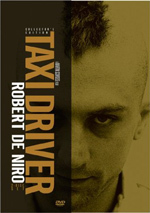 This is a solid piece of noir that kept me interested and engrossed virtually from beginning to end. Chinatown appears in an aspect ratio of approximately 2.35:1 on this single-sided, double-layered DVD; the image has been enhanced for 16X9 televisions. Though decent, this transfer showed its age. Sharpness seemed erratic. Much of the movie showed decent delineation, but parts could appear a bit soft and fuzzy. The definition was acceptable most of the time, though. Some minor instances of jagged edges and shimmering occurred, and I noticed a bit of edge enhancement. Source flaws also created distractions via some specks, marks and blotches. These weren’t heavy, but they cropped up on a fairly consistent basis. Chinatown featured a restricted palette and preferred to use a rather sepia-tone impression. As such, colors were never terribly bright or bold, but they fit within the design well. A few times reds looked very clear and accurate, and the rest of the hues matched the overall scheme. In any case, I found no problems with the colors and thought they looked pleasing. Black levels generally appeared adequately deep and dense, and shadow detail also was usually clear and without excessive darkness. However, a few scenes did seem overly dim and I felt that I lost some nuance in those instances. Some of these difficulties resulted from "day for night" photography, but others were simply too dark without any similar explanation. In the end, I thought this was a mediocre transfer. I was more impressed with the film's remixed Dolby Digital 5.1 soundtrack. Happily, the sound designers didn't go overboard with their creation and they kept the scope of the track within sensible limits. This means that while the mix opened up the spectrum well, it didn't provide lots of distracting auditory excessiveness. The forward channels spread out the audio well, as lots of solid ambient effects emanate from those speakers. They also offered the score with excellent stereo separation that made it livelier. The surrounds generally did little more than lightly bolster the ambiance and music, but on a few occasions those channels provided some engaging audio. For example, look at the scene where Jake got carried away by rushing water; the sound filled the listening environment with this effect and even branched into some convincing split surround usage as the water flowed to the rear left. It was a surprisingly convincing moment, and a few others worked similarly well. Chinatown features a smattering of supplements. Most significant are the Retrospective Interviews with producer Robert Evans, director Roman Polanski and writer Robert Towne. This segment lasts for 13 minutes and 25 seconds and provides a nice but brief look at the project. The interviews are from the 1990s and they cover some general topics in an interesting and informative manner. Really, they're quite compelling, but the piece is too short; we could have used a lot more detail. Finally, the DVD also includes the film's theatrical trailer. It's not an extensive collection of supplements, but the material included is pretty good nonetheless. As is the movie itself. Actually, Chinatown qualifies as a great movie, and one that deserves its status as a classic. The DVD provides mediocre picture and good audio plus a couple of minor extras. Though not a stellar DVD, Chinatown is a terrific film that definitely warrants your attention.